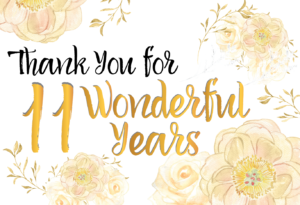 Café Manna is celebrating eleven years in business! Join us between February 19-21 to be part of the fun! Every adult who dines in receives a gift card valued between $5-$25 to be used toward a future visit. We will be featuring your favorite menu items from the past, including Spanakopita, Savory Sandwich, Mejadra and Chocolate Raspberry Amaretto Torte. Café Manna t-shirts available for purchase at a special anniversary price. Make reservations for the anniversary event by calling 262-790-2340.